Jazz up any event with a Mardi Gras inspired theme. When your guests see the glittering design of the Mardi Gras Beads Poster, they'll know they are at the party. Spice up your event when you deliver a little of the Big Easy. 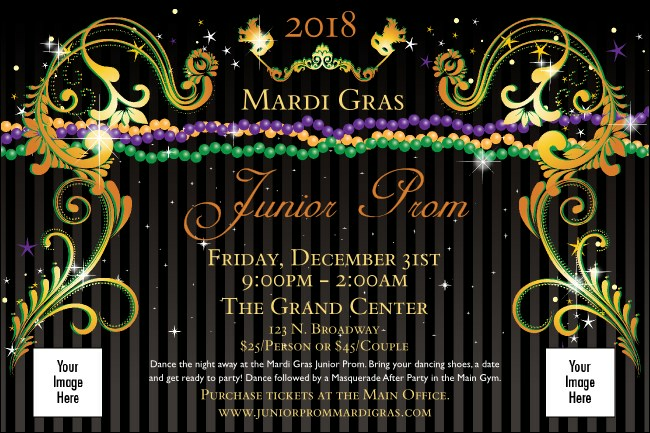 This poster template has room for your custom text, space for logos and photos, and features a background of sparkling Mardi Gras beads. TicketPrinting.com is the place where great events begin.